Sergio Agüero is an Argentine professional football player who plays as the striker for the Argentinean national team as well as the English football club Manchester City. He was the youngest person, at the age of 15 years and 35 days to debut in the Argentine Primera Division, breaking the record set by football legend Diego Maradona in1976. Sergio Leonel “Kun” Agüero was born on 2nd June 1988. He has been playing football since a very early age. 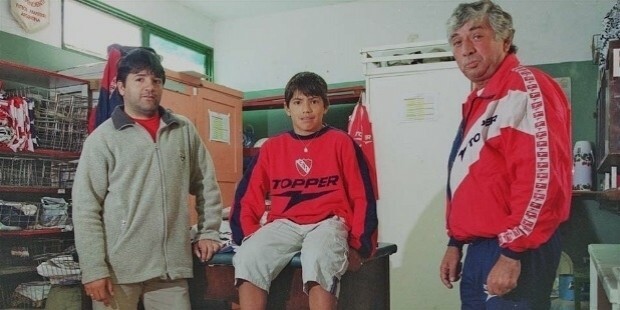 In 1997, Sergio at the age of 9 years joined the youth system of Independiente and started playing for the team. He was the youngest player to debut at the age of 15 years and 35 days on 5th July 2003, in the Primera Division when he substituted for Emanuel Rivas. 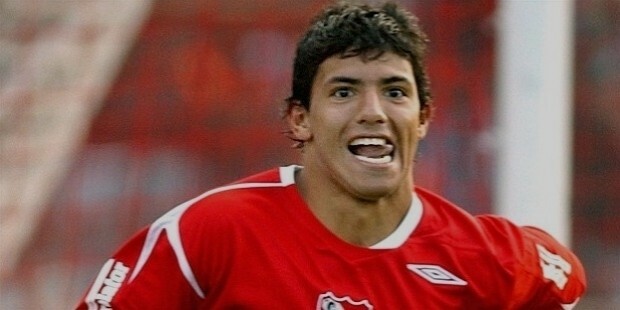 In 2004, Sergio was placed on the playing-eleven list against Peru’s Cienciano and his team won the match 4-2, this becoming the youngest player to take part in the Copa Libertadores, a record unbroken for three years. In 2005, Sergio became a regular in the Argentina Under-20 squad for the 2005 FIFA U-20 World Cup, which the team eventually won. In the 2005-2006 Season, he scored a total of 18 goals in 36 league matches, even after missing two matches due to a suspension. In May of 2006, Sergio transferred to Atletico Madrid for around $24 million making it a record for the Bank of Spain. 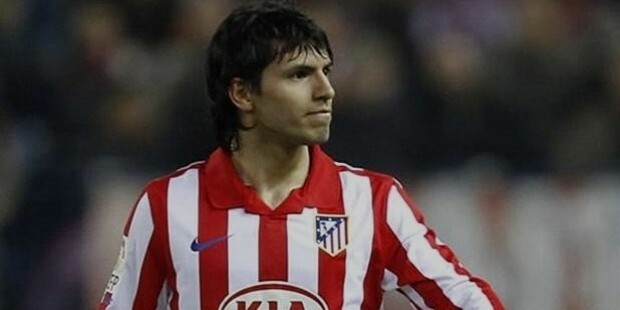 The 2006-2007 Season saw Sergio joining the Atletico Madrid club and was instantly mired in controversy for his second goal for the goal which was criticized for being scored using his hands. His season with Madrid ended with seven goals scored for the team. In the 2007-2008 Season, Sergio became the team’s most valuable player at the age of just 19 years and was the 3rd-highest scorer in La Liga with 19 goals to his credit. He was also pivotal in Madrid’s win against rivals such as Real Madrid, Sevilla, Valencia and Villarreal, which helped Atletico Madrid secure the 4th position in qualifying for the UEFA Champions League for the 1st time in 10 years. In the 2008-2009 Season, Sergio scored his first Champions League goal against PSV, and his team won the match 3-0. In March 2009, Sergio helped Atletico Madrid win a crucial match against league leaders, Barcelona, scoring two goals, along with the clincher in the last minutes of the match by bringing the score to 4-3. In the 2009-2010 Season, Sergio was instrumental in Atletico’s amazing performance in the season in over a decade. In November of 2009, Sergio scored both goals against Chelsea in the Champions League match at Vicente Calderon, bringing the score to a draw by 2-2. His brilliant performance and assisting skills helped Atletico Madrid reach the finals in the 2010 UEFA Europa League with the score coming to 2-1 in Atletico’s favor against English side of Fulham. The 2010-2011 Season saw Sergio back in top form with a score of 20 goals with a streak of 7 goals in the same number of matches consecutively. His final game for Atletico was played in May against Mallorca in which he scored his career’s first hat-trick as well as scoring his 100th goal for the Colchoneros. In May of 2011, Sergio announced his intentions to leave Atletico with a formal request to the club management on his official website. In July of the same year, Sergio joined Manchester City for a fee perpetrated to be around $54 million which was criticized heavily by some Atletico fans. 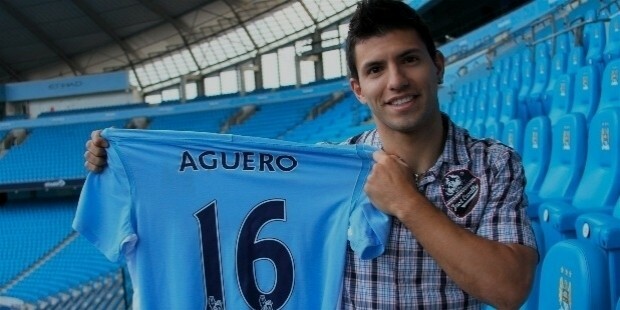 In July of 2011, Sergio signed a 5-year contract with Manchester City and was given the number 16 jersey for his first season with the club. In August of 2011, Sergio made his debut for City against Swansea City, which City won with a lead of 4-0 in the Premiere League. He scored his first goal for the club in this match. His amazing 30-minute debut made fans rave about his performance. He continued this performance for City throughout the season. In the 2012-2013 Season, Sergio started I the 2012 FA Community Shield against Chelsea, which city won 3-2. He went on to score his first goal of the season against Fulham in September in the Premiere League with a victory of 2-1 away. Another goal was scored by Sergio a few days later in the match against Sunderland, which City won effortlessly with a score of 3-0. His next goal was scored in November against the 2-1 win over Tottenham Spurs. In the 2013-2014 Season, Sergio scored five goals in 4 matches as well as helping City win the Champions League match against CSKA Moscow with a score of 2-1. In August of 2014, Sergio signed up for another 5-year extension to his team, Manchester City, until 2019. In November, Sergio scored a hat-trick against Bayern Munich in the Champions League group match. 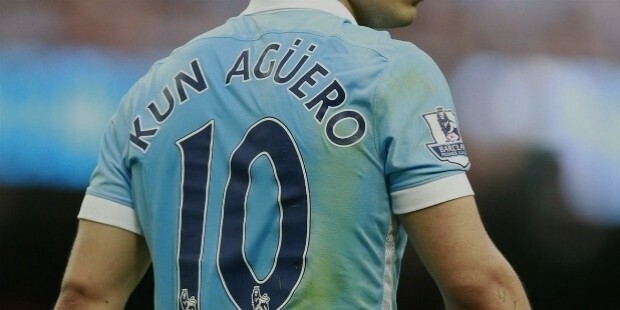 In August of 2015, Sergio announced his decision to switch from the number 16 jersey to the number 10 shirt. In his international career playing for Argentina, Sergio has been an instrumental player on their side for securing many victories. 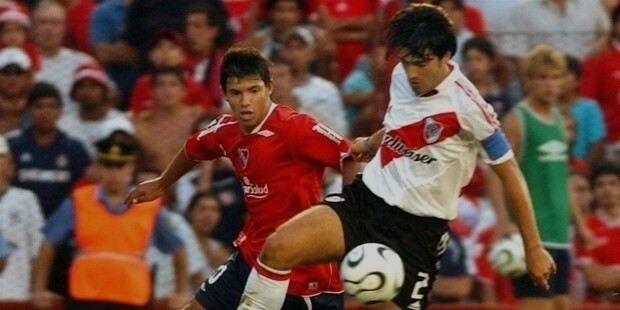 In the 2004 U-16 South American Championship in Paraguay, Sergio was selected for the Argentina Under-17 national team. He was a part of all group stage matches and scored in victories against the United States (2-1) and Ecuador (3-1) to help the Argentina side finish at the top of the group. Sergio was also part of the Argentina national team for 2 FIFA World Youth Championships and helped to win consecutive world titles. In 2009, Sergio at the age of 18 years debuted for the Argentina senior national team in a friendly match against Brazil in England. In the 2010 FIFA World Cup qualification match against Bolivia, Sergio went on to score three more times, and the team went on to qualify for the finals in South Africa. 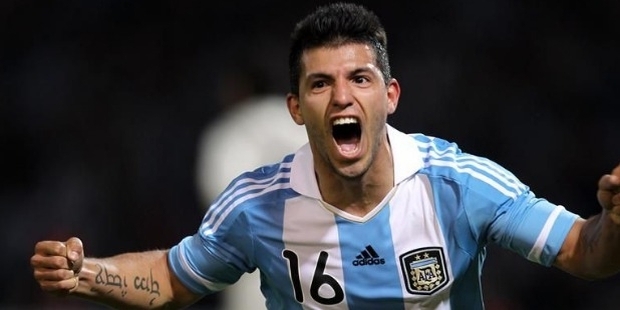 In 2010, Sergio made his FIFA World Cup debut in Argentina’s second group match against South Korea in June, and he assisted in the hat-trick goal of fellow teammate Gonzalo Higuain. Argentina won the match with a score of 4-1 but lost to Germany in the quarter-finals. Sergio was named the FIFA Young Player of the Year in 2007. 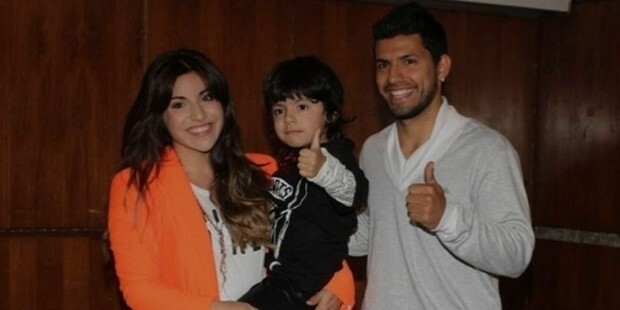 Sergio was married to Diego Maradona’s youngest daughter, Giannina Maradona and the couple had a son in February of 2009, named Benjamin. However, the couple separated in 2012, after having spent four years together.